MANILA, Jan. 15 (Xinhua) — Hospitals can now reduce life-threatening infections in newborns by over two thirds and admissions to the neonatal intensive care unit (NICU) by one third by implementing Early Essential Newborn Care (EENC), a newborn care recommended by the World Health Organization (WHO). A study in Vietnam by the WHO published in EClinicalMedicine or The Lancet journal focused on clinical and public health research in a tertiary hospital in Da Nang, Vietnam showed that EENC strengthens health workers’ skills and improves care. 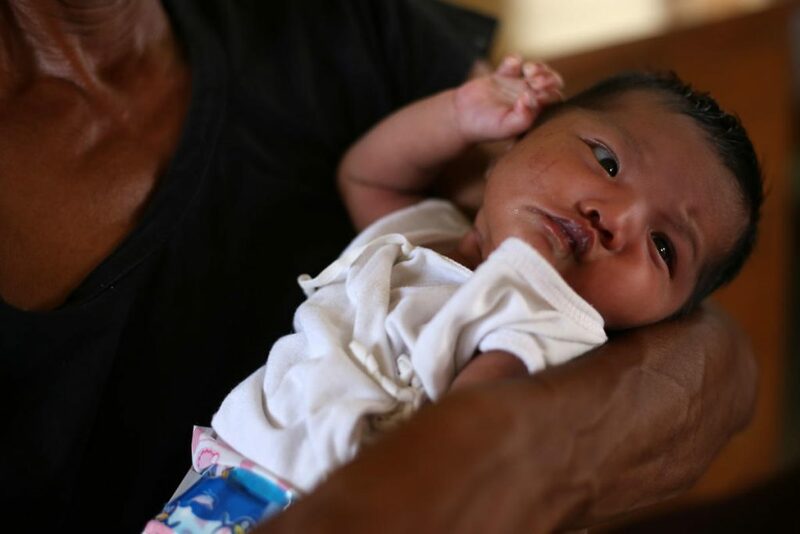 “A newborn dies every 2 minutes in this region, but full implementation of EENC could prevent up to half of these deaths,” explained Howard Sobel, coordinator for Reproductive, Maternal, Newborn, Child and Adolescent Health in WHO’s Western Pacific Region in Manila and co-author of the study. Other studies in Asia have also shown that health worker practices around birth are often outdated and harmful, leading to increased risks for babies of sepsis, a dangerous infection in the bloodstream, and hypothermia, a dangerously low body temperature or death. Despite the availability of knowledge and tools, the studies say the quality of care can be compromised by the lack of clear policy guidelines, availability and allocation of staff, supportive work environments, and other issues. EENC is a package of simple, evidence-based clinical care practices recommended by WHO. It focuses on improving the quality of care during and immediately after birth. Central to EENC is the so-called “first embrace,” a prolonged skin-to-skin cuddle between mother and baby, which allows proper warming, feeding and umbilical cord care. Key actions include thorough drying, immediate skin-to-skin contact, clamping the cord after pulsations stop, cutting the cord with a sterile instrument, and initiating exclusive breastfeeding when the baby shows feeding cues, such as drooling, tonguing, rooting and biting of their hand. “All babies can benefit, including those born preterm, sick or by caesarean section,” the WHO said in a statement. The Da Nang Hospital for Women and Children in central Vietnam, where about 14,000 babies are born every year, implemented EENC through on-the-job coaching of staff on appropriate childbirth and newborn care in 2014 and in 2015. A quality improvement approach was subsequently implemented to address factors such as local policies, organization of work spaces, health worker roles, sequencing of tasks, and availability of supplies and equipment. “EENC has transformed the care that babies receive in our hospital. The package of procedures is practical, and it can be implemented anywhere,” said Hoang Tran, the deputy director of Da Nang Hospital for Women and Children. The study compared live birth outcomes and NICU admissions in the 12 months before and after EENC was introduced. Data revealed that after EENC implementation, sepsis cases fell by two thirds from 3.2 percent to 0.9 percent of babies born in the hospital, NICU admissions fell by one third from 18.3 percent to 12.3 percent, and hypothermia cases fell by one quarter from 5.4 percent to 3.9 percent of babies admitted to the NICU. Before EENC was introduced, skin-to-skin contact was not practised. Babies born vaginally were routinely separated from their mothers for at least 20 minutes, and those delivered by caesarean section for six hours or more. After implementation of EENC, the WHO said 100 percent of babies received immediate skin-to-skin contact regardless of route of delivery. The percentage of babies in the NICU born preterm, meaning less than 37 weeks of gestation, or with low birth weight, meaning less than 2.5 kilograms, receiving “kangaroo mother care” increased by 15 percent after EENC was introduced. Kangaroo mother care — continuous skin-to-skin contact for more than 20 hours per day, early and exclusive breastfeeding, and close monitoring of illness — reduces newborn deaths by up to half. With EENC, the WHO said, the rate of exclusive breastfeeding in the NICU almost doubled. Exclusive breastfeeding is when a baby receives breast milk only, meaning no formula, water or anything else. WHO and UNICEF recommend this as the ideal way to feed babies for their first 6 months, according to WHO, adding that these improvements occurred during the study period despite a significant increase in the proportion of babies born by caesarean section and with low birth weight, which are barriers to breastfeeding. The study also found additional benefits of EENC for hospitals and families. As a result of increased breastfeeding, parents of babies in the NICU and those on the postnatal ward spent 78 percent and 96 percent less on infant formula, respectively. Families also saved money thanks to shorter hospital stays and less time off work. As a result of reduced NICU admissions, the WHO said the hospital saved more than 300,000 U.S. dollars and reduced staff workload. There was also reduced antibiotic use, it added. “The findings of our study are relevant way beyond Vietnam. All hospitals – in rich and poor countries alike – can learn from this experience to improve newborn health. I’ve seen harmful practices across more than 20 low- and middle-income countries,” Sobel said.